Spread over a pocket of Appalachian high country, Virginia’s Grayson Highlands State Park is an alpine Eden. The lofty landscape is embellished by airy mountain meadows, gushing trout streams, rhododendron-filled forests, and a conglomeration of high peaks. Best of all, more than 100 wild ponies roam Grayson Highlands and the neighboring Mount Rogers National Recreation Area, which is a 200,000-acre swath of the massive Jefferson National Forest. If you're looking for a place to spend the night without camping, the nearby town of Abingdon has a wide variety of options from hotels to bed & breakfasts. Established in 1965, the 4,502-acre park was originally called the Mount Rogers State Park—long known for providing a portal to the state’s highest peak. 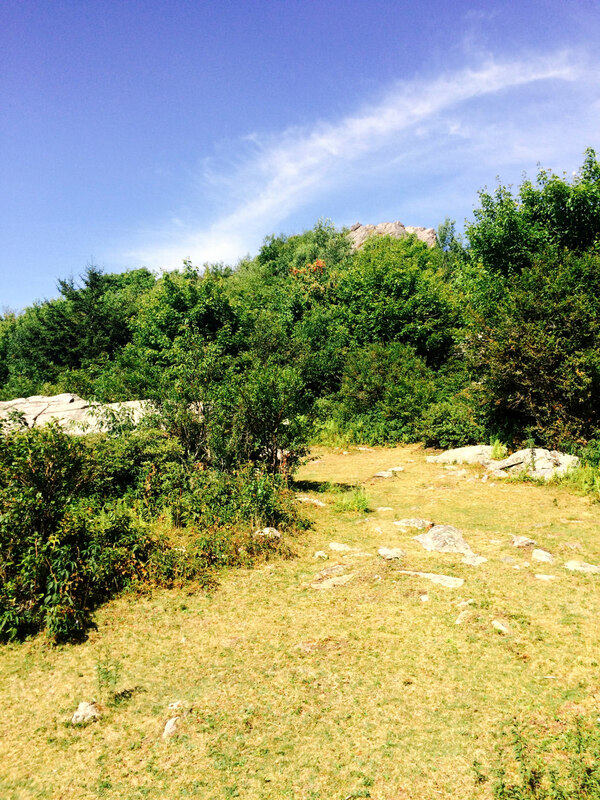 Besides offering a route to the forest-shrouded summit of Mount Rogers, today Grayson Highlands is a lofty trail hub with a network of 13 different trails inside the state park, and access to the 2,150-mile Appalachian Trail and 68-mile Virginia Highlands Horse Trail. Grayson Highlands is also a hotspot for anglers. You’ll find nearly 10 miles of trout streams, featuring brook and rainbow trout, which are part of the Blue Ridge Highlands Fishing Trail. The park’s waterways are designated Special Regulation Wildlife Trout Streams, mandating the use of artificial lures and single hooks, and requiring any trout under 9-inches be released unscathed. The longest stretch of fishable water inside the park is the 3.5-miles along Big Wilson Creek, accessible from either the 1.78-mile Wilson Creek Trail, beginning at the park’s main campground, or via the Appalachian Trail, accessed from the Massie Gap parking area. Sections of Big Wilson Creek are also designated as a “stocked trout stream,” requiring both a Virginia fishing license and a trout license. Today, the free-wandering herd is managed by the Wilbur Ridge Pony Association. The ponies are rounded up every fall for a health check–and so that a few individuals (usually young males) can be selected for auction at the annual Grayson Highlands Fall Festival. 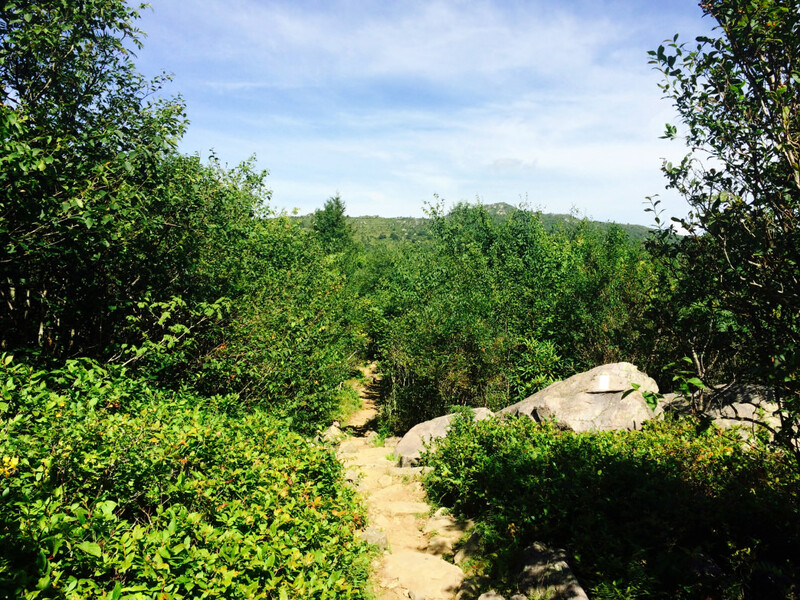 The park features more removed climbing spots, like the Highlands Bouldering Area (accessible after a hike from Massie Gap), but is also scattered with plenty of easily accessible problems, especially along the 1.4-mile Listening Rock Trail. There are also climbable boulders in the vicinity of the park’s contact station, picnic area, and even the main campground. One of the area’s most beloved climbs, the Wilson Creek Boulder, is an easily stroll from any tent site there. Without a doubt, the definitive guide to bouldering opportunities in the state park is Aaron Parlier’s book Grayson Highlands Bouldering. While the park’s trails are positively bustling in the fall, spring and summer, hosting everyone from day-hikers to thru-hikers, Grayson Highlands also has plenty of potential for hearty souls in the dead of winter. The elevation ensures the high country in Grayson Highlands and the neighboring Mount Rogers National Recreation Area consistently get a generous coating of powder, and the airy alpine meadows are ideal for exploring with cross-country skis. Several of the park’s trails are open for cross-country skiing, including the 3.7-mile Old Upchurch Road, 1.2-mile Seed Orchard Road, the 3.2-mile Horse Trail (east), and the 0.9-mile Horse Trail (north), which connects to the Virginia Highlands Horse Trail in the Mount Rogers National Recreation Area. The park’s campground is popular and fills up quickly, especially in the summer and early fall, during peak leaf-peeping. There is no backcountry camping in the park, but Grayson Highlands provides a gateway to a bounty of options for overnights. The state park is sandwiched between two wilderness areas—the 6,076-acre Lewis Fork Wilderness, laced with nearly 30-miles of trails, and the peak-capped Little Wilson Creek Wilderness, a rugged 5,461-acre expanse crowned with three summits above 4,600-feet. Both part of the larger Mount Rogers National Recreation Area. Weather in the park can change rapidly, and temperatures in the highlands ensure hypothermia is a consideration year-round. Snow is possible from September to May, and the barren high-country balds, famously devoid of trees, are also especially prone to powerfully unfettered winds. Rangers close the park in the case of extreme conditions—including air temperatures below 15°F and wind speeds above 35 mph. But that still leaves the vast majority of the year to explore one of Virginia’s most beautiful places. 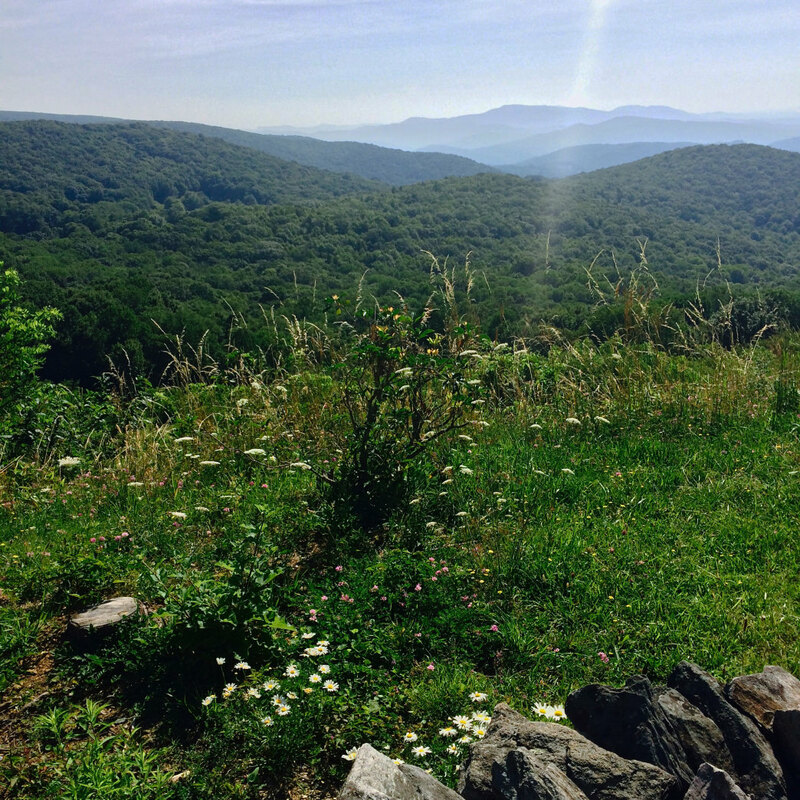 Featured image by S.A., courtesy of Grayson Highlands State Park.